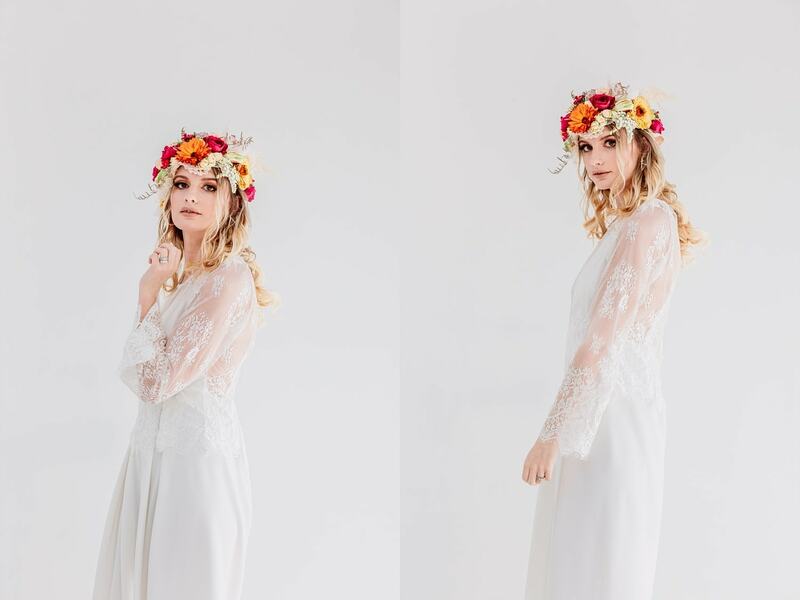 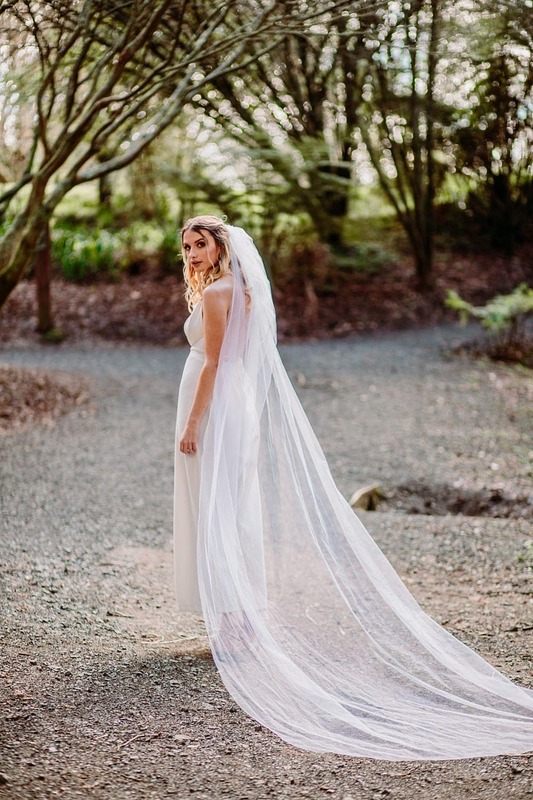 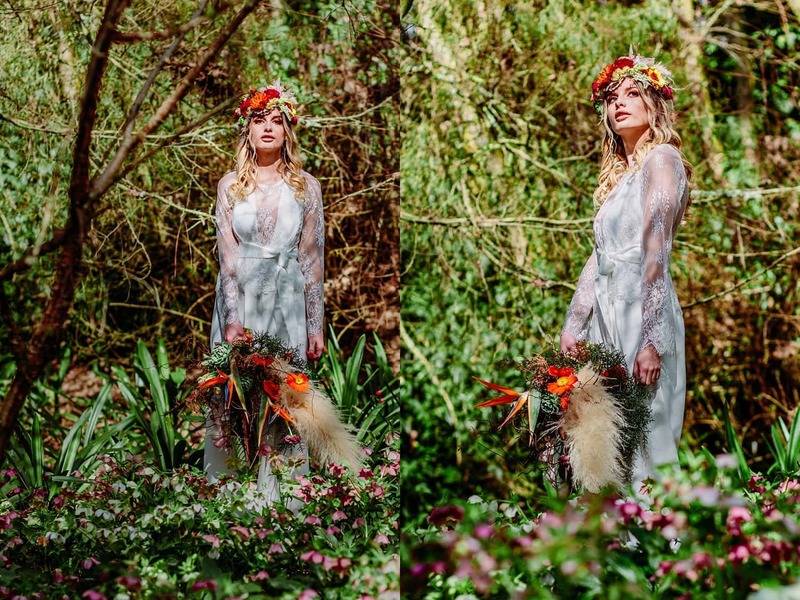 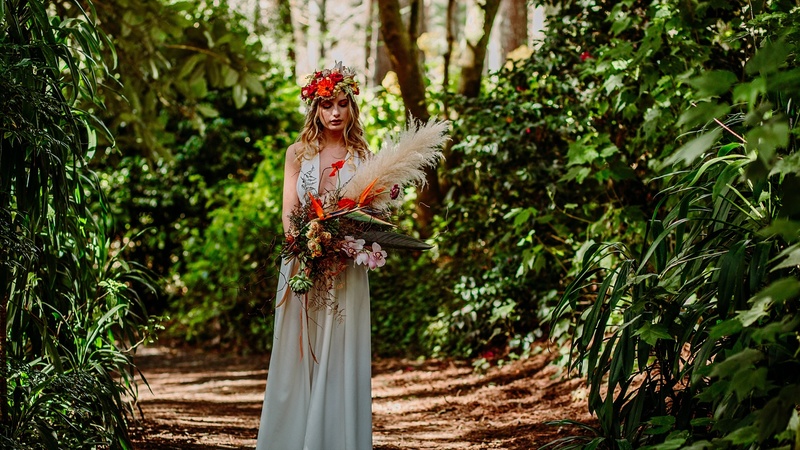 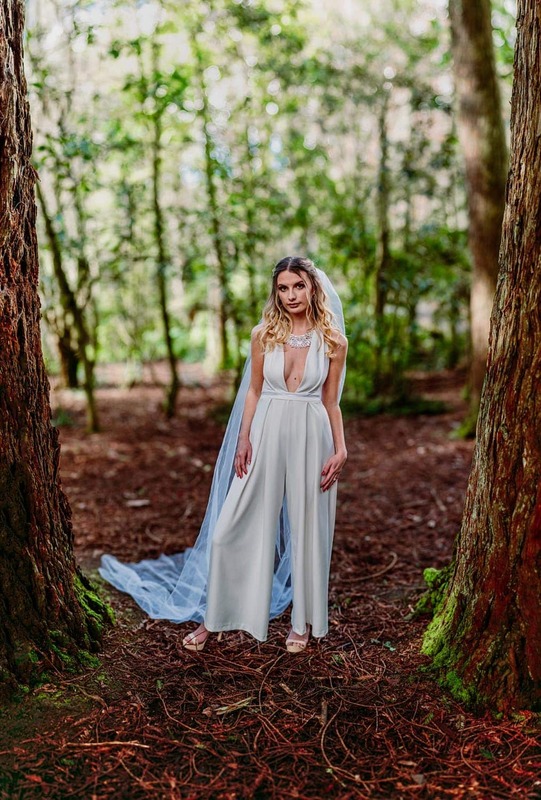 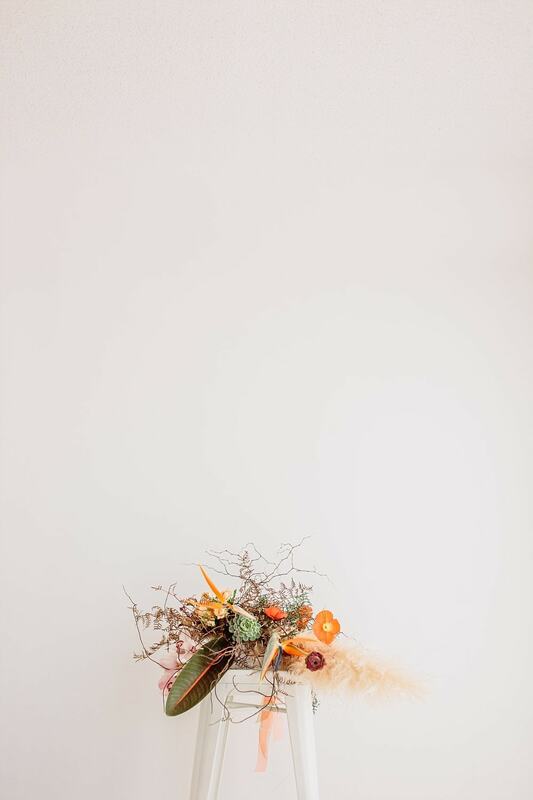 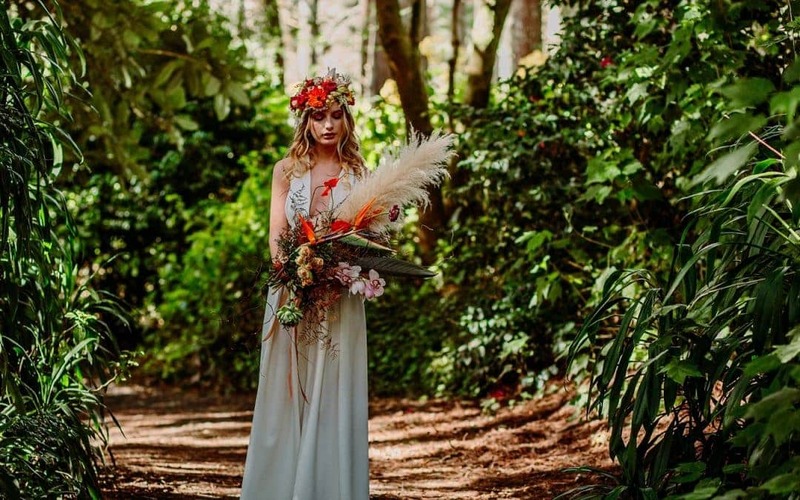 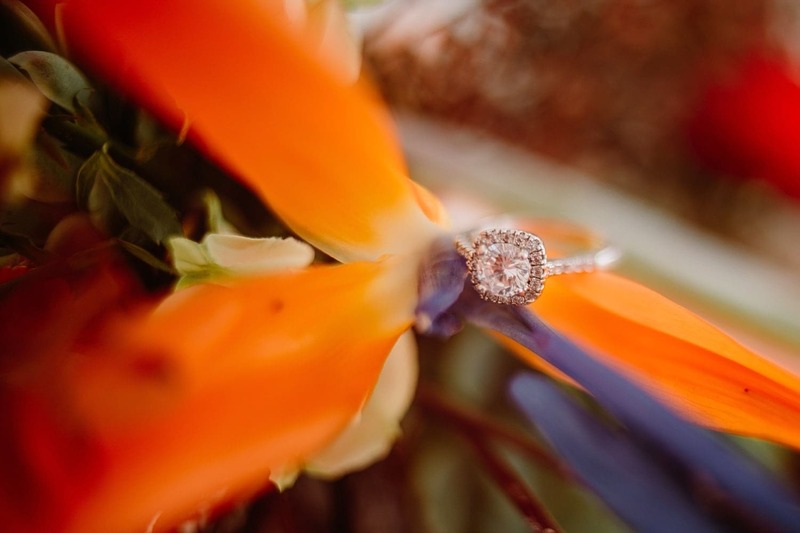 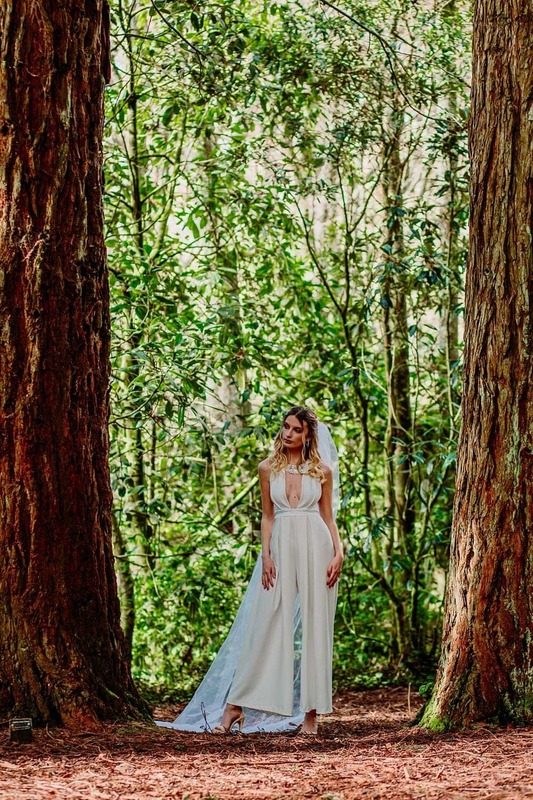 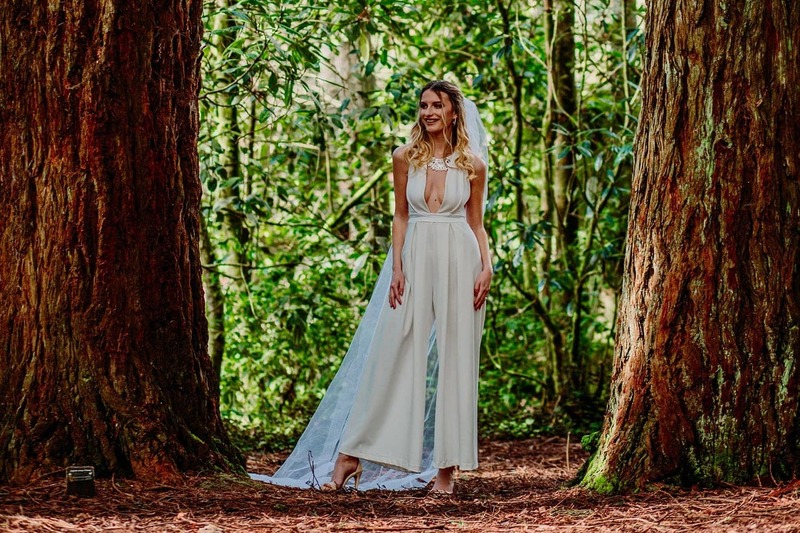 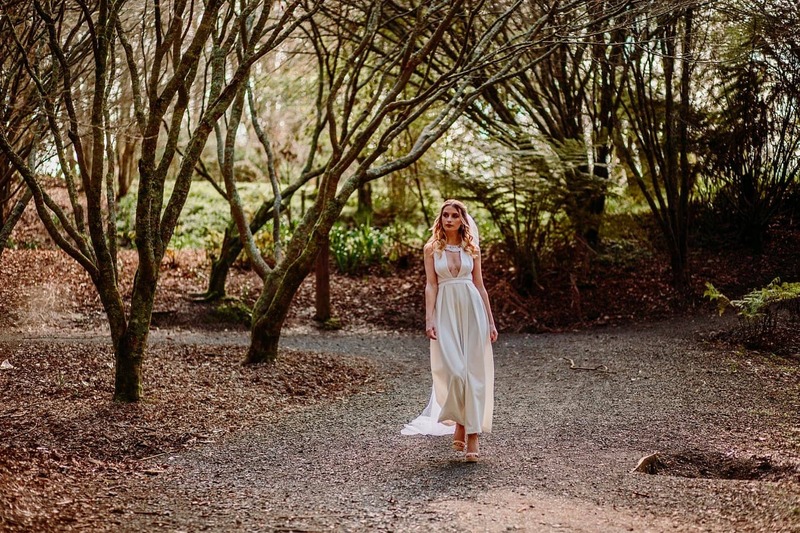 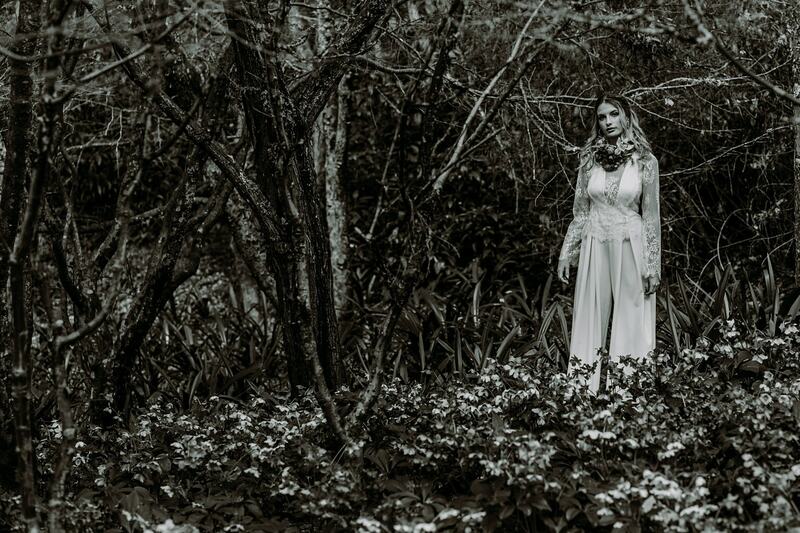 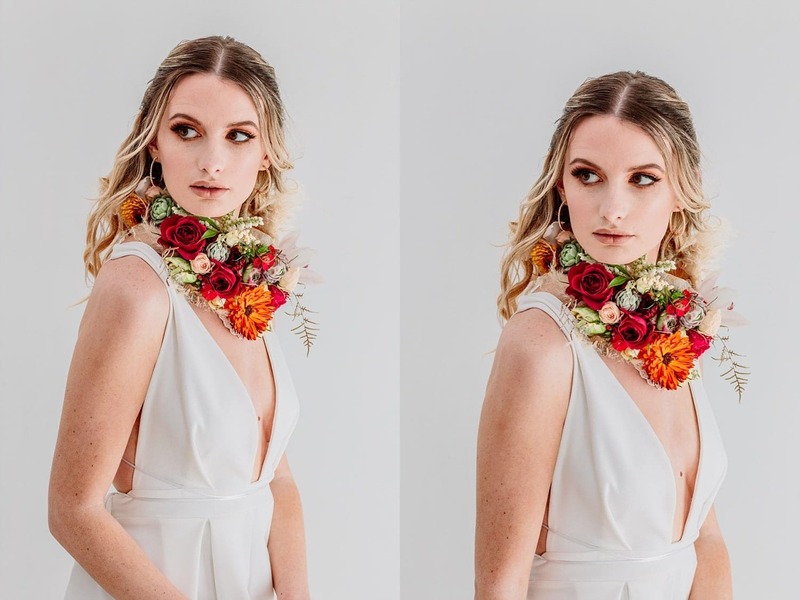 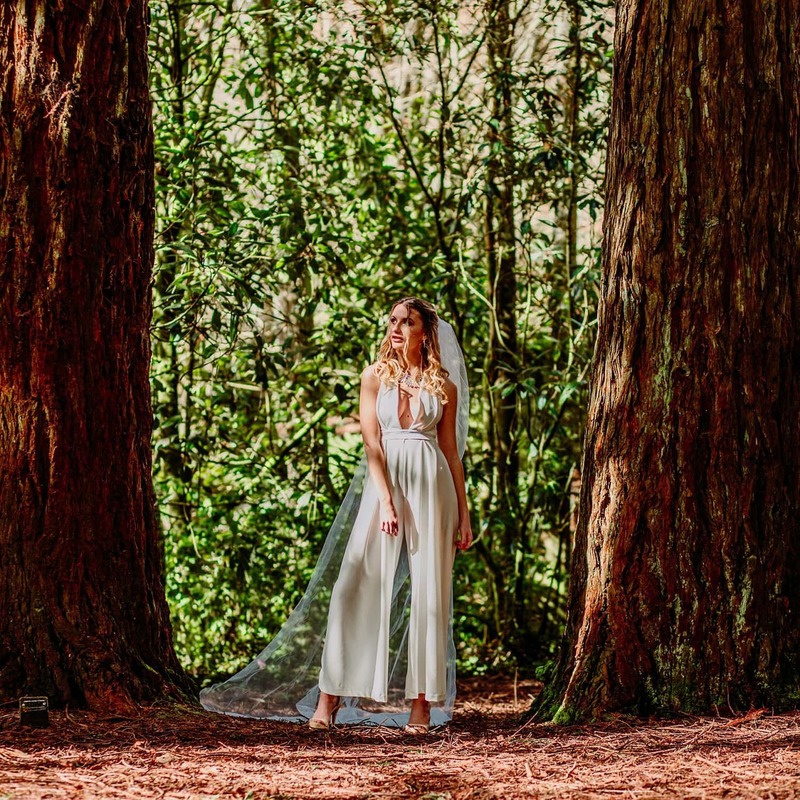 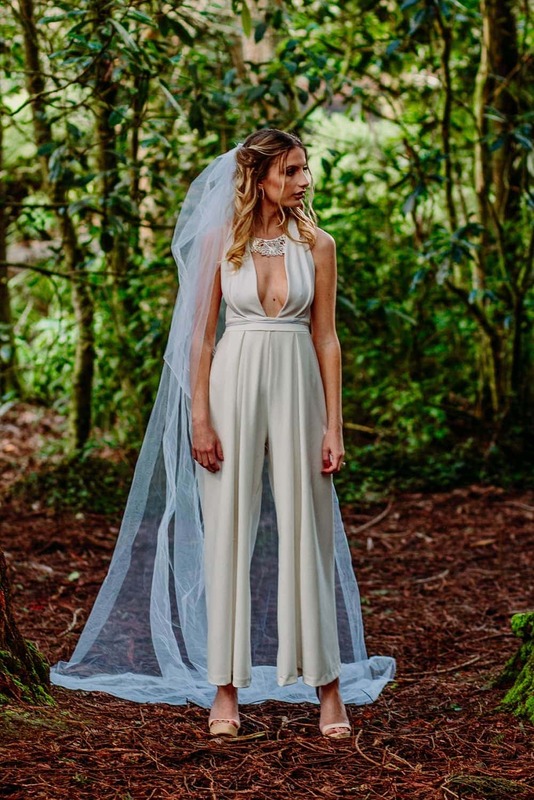 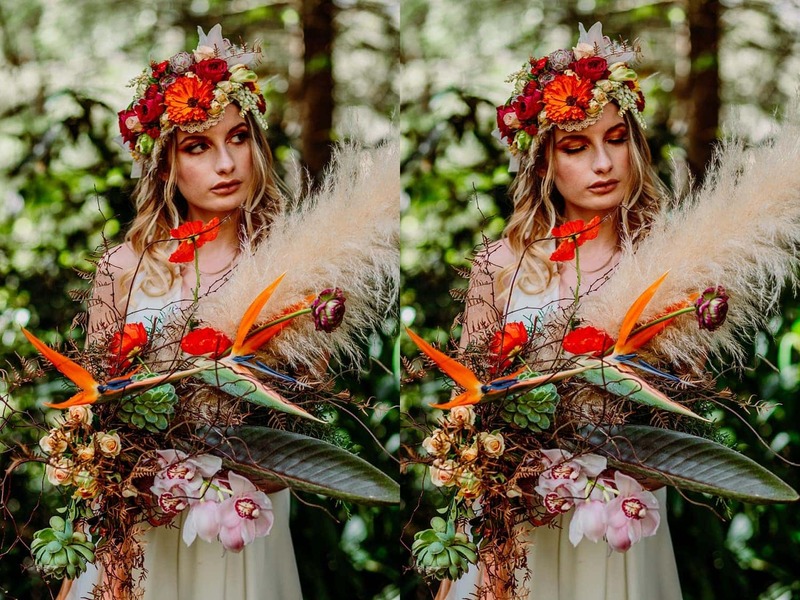 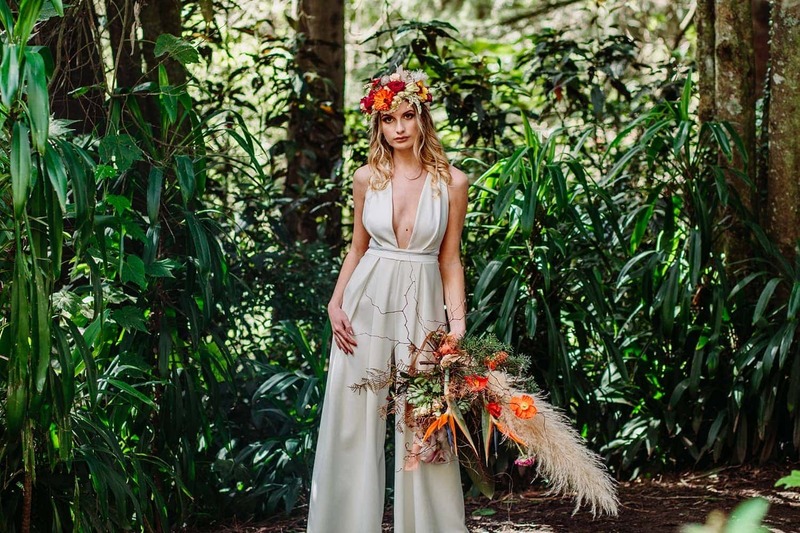 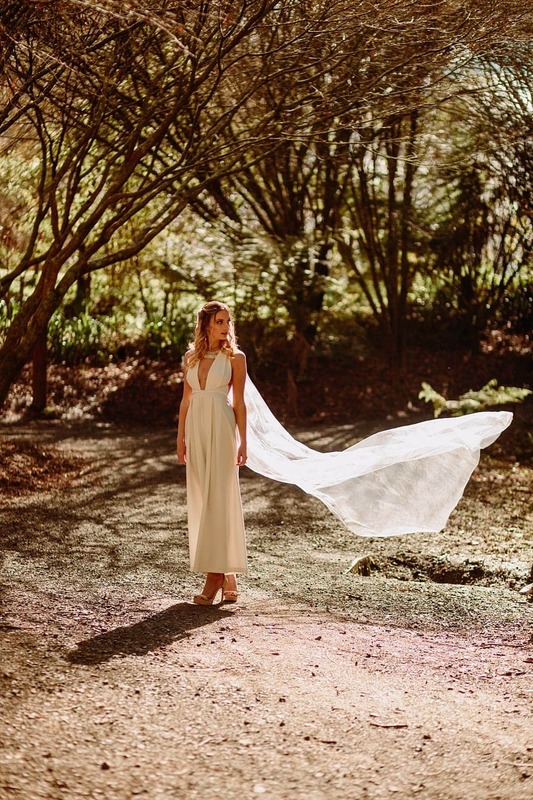 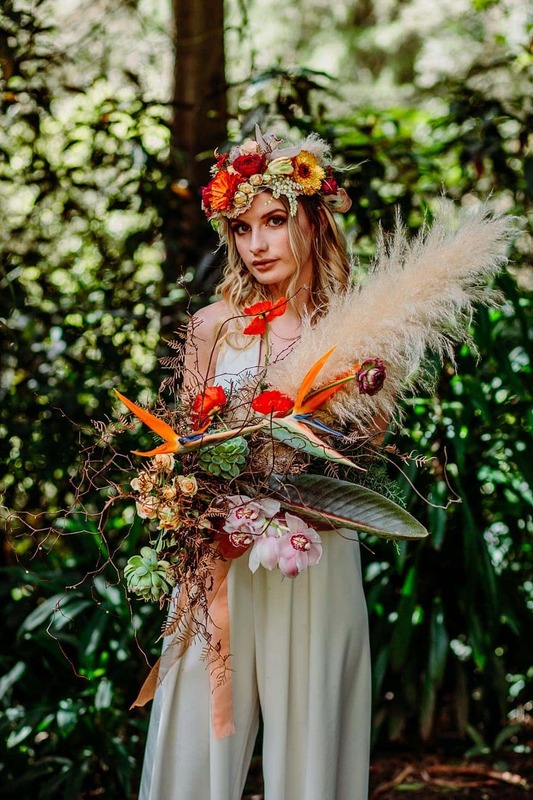 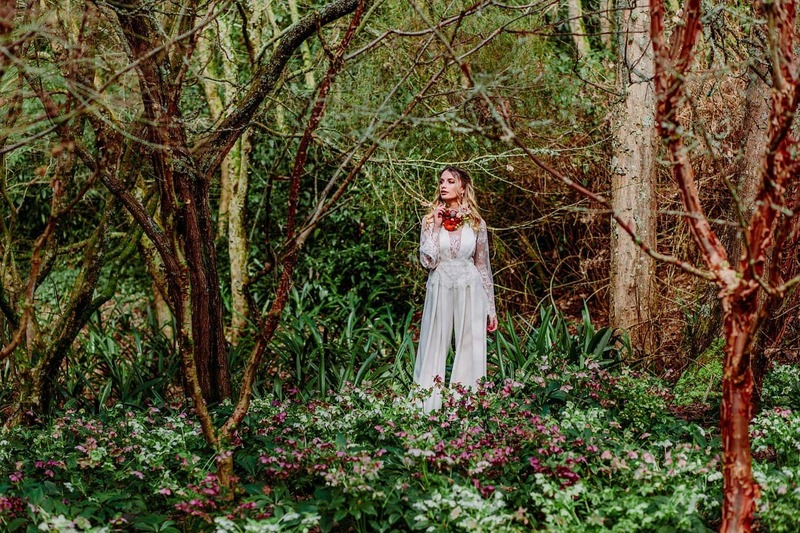 Inspired to create something with a boho vibe and for the bold unconventional bride we put together this massive styled shoot to show that your wedding styling can be tailored to something as unique as you – it doesn’t just have to be soft floofy dresses and muted pinks! 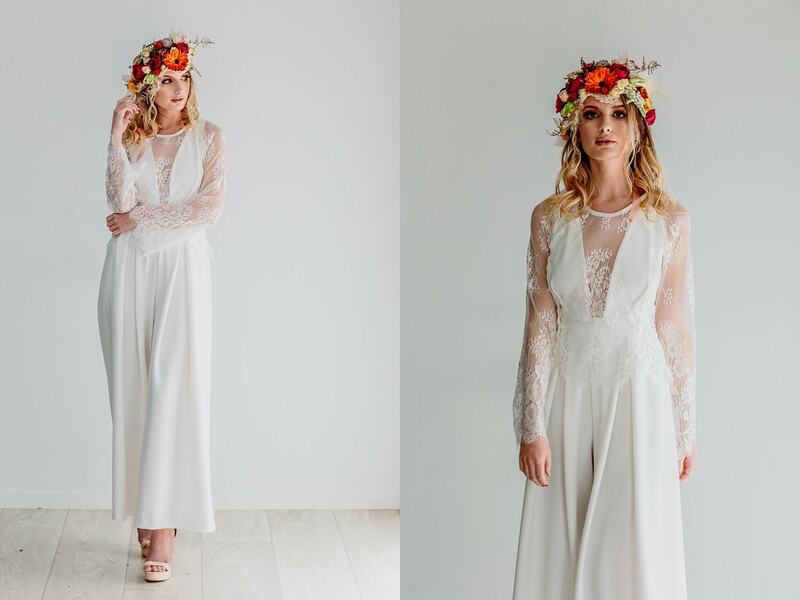 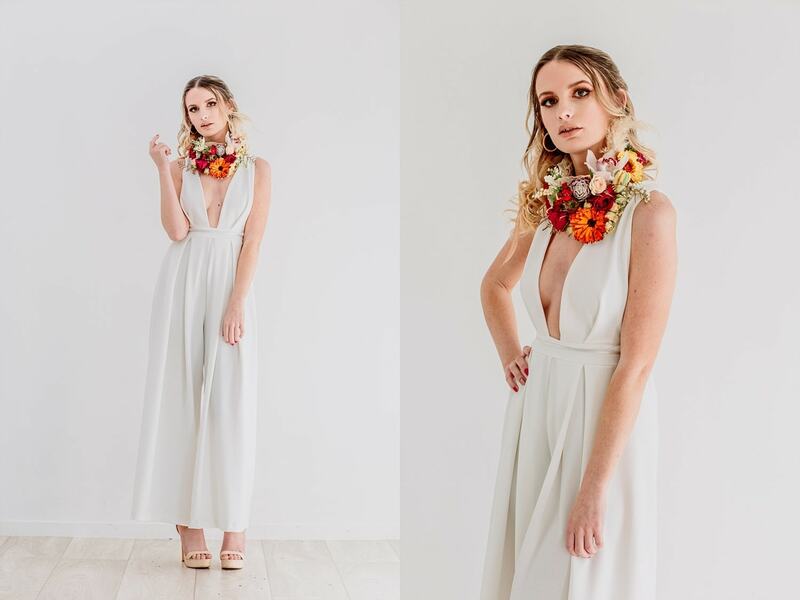 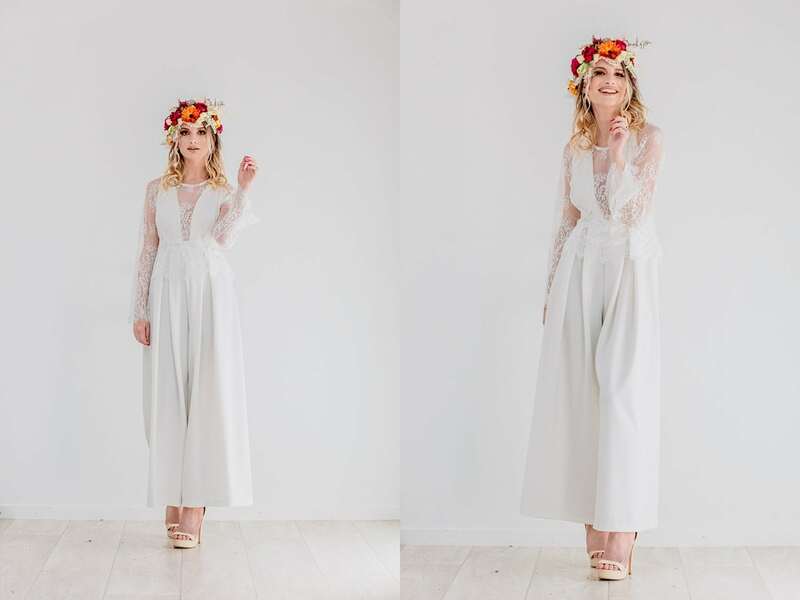 Pulling together a Natalie Rolt Jumpsuit and pairing it with a light lace blouse, soft waves and bold florals really makes an outstanding and unique bridal look. 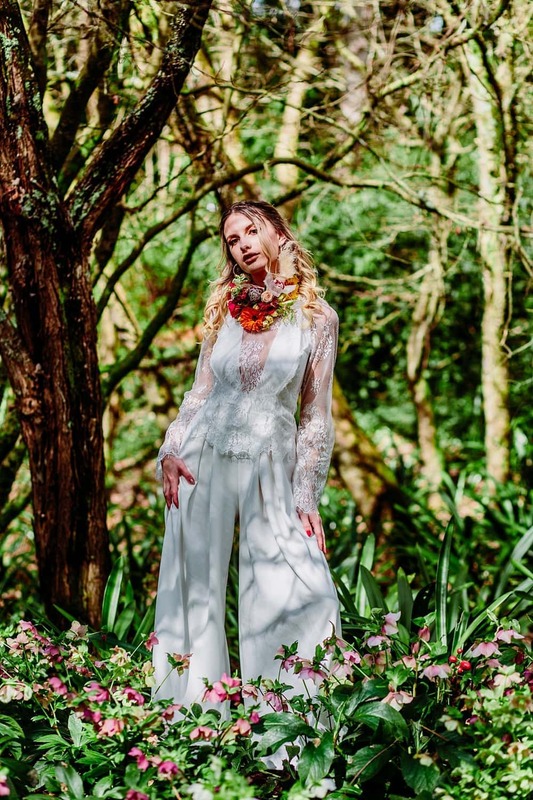 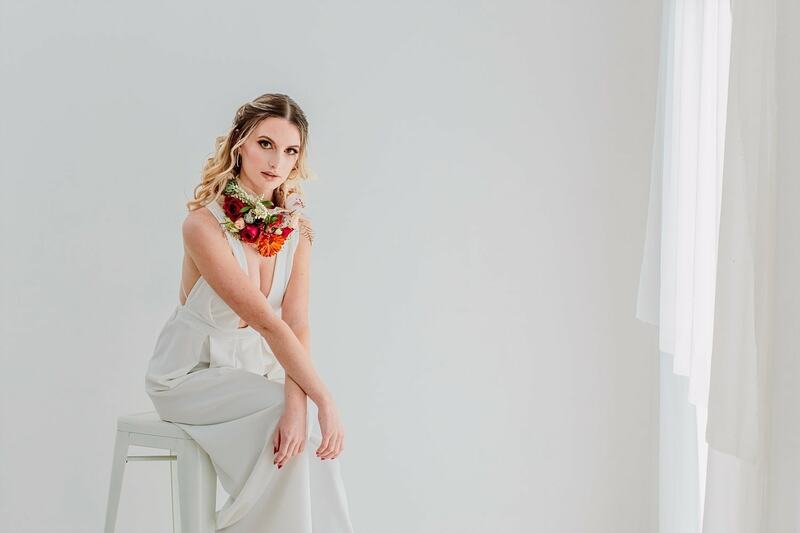 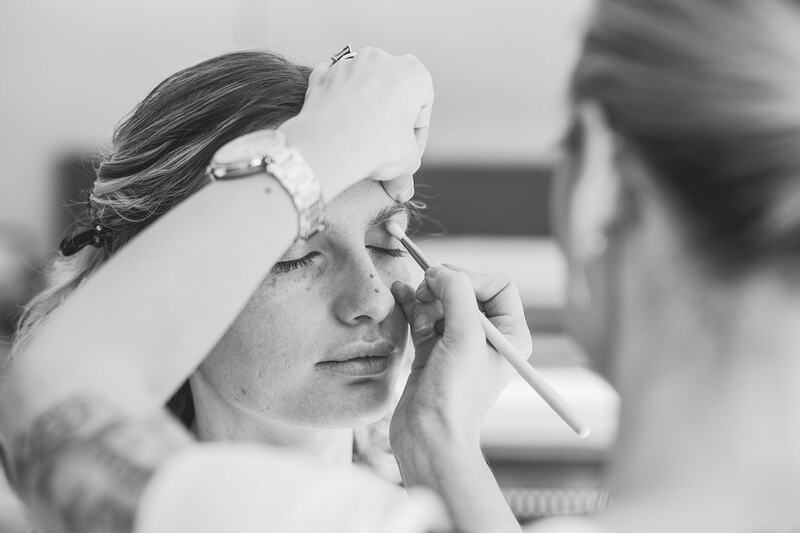 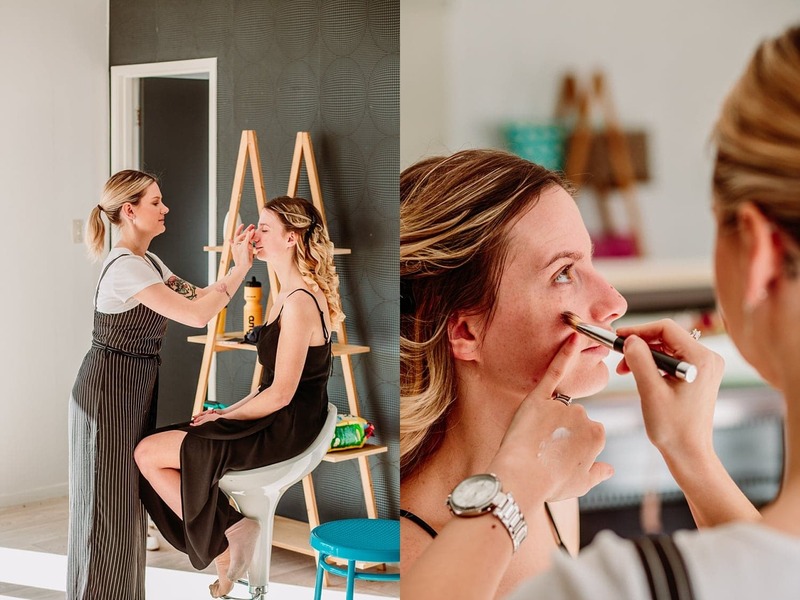 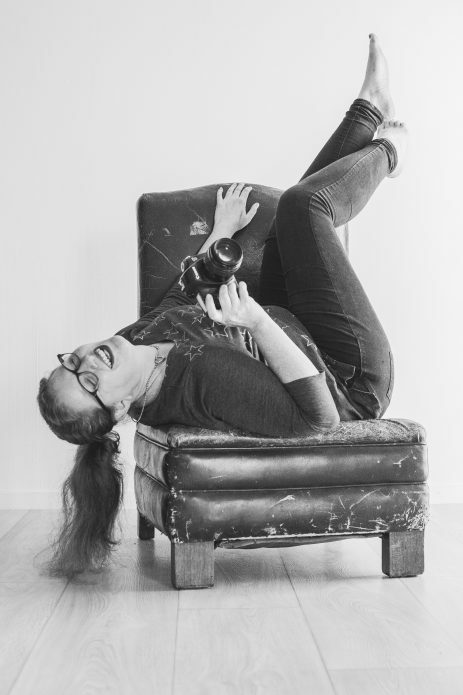 We did the first part of the shoot in my studio to show of the power of the pared down styling with bold makeup and then took the whole look out on location where it really started to take on its Boho vibes. 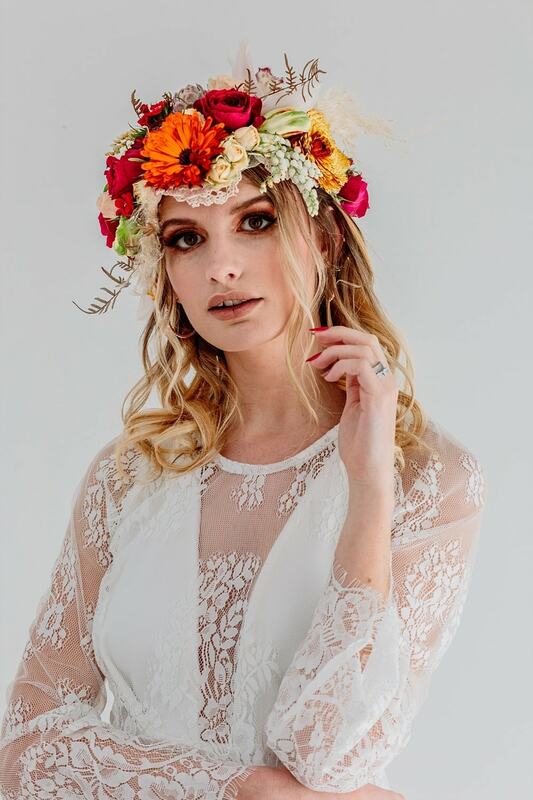 Send me a message and let’s get chatting!